As a Therapist/Facilitator/Educator/Trainer as well as a Public Speaker Mindy has over 25 years experiences working with children, teens, couples, families, and individuals counselling. She provides an inviting, safe environment with a respectful and a non-judgmental approach and at times a sense of humour. Her work revolves around being friendly, disciplined and organized yet flexible. I approach my patients and help them resolve their issues of the past and the present, to open the door to a brighter and confident future. TIR/LSR training workshops are recognized for continuing education credit in Canada by the Canadian Counselling and Psychotherapy Association (CCPA) and the Canadian Professional Counsellors Association (CPCA). For a more complete list of recognizing bodies see here. These workshops qualify for Continuing Education (CE) Credits as laid out by the TIR Association. TIR is evidence-based, and listed on SAMHSA National Registry of Evidence-based Programs and Practices. The Substance Abuse and Mental Health Services Administration (SAMHSA) is an agency of the U.S. federal government. I'm a certified counsellor (M.ED, RCC, AEF, TIRT, LSRT) adept in Neuro-Linguistic Programming (NLP) and Satir Systemic Brief Therapy. A Senior Traumatic Incident Reduction (TIR) Trainer. Trained in Play Therapy, I also specialize in working with adolescents’ issues, mother & daughter challenges, suicidal attempts, anger, depression and attachment disorder. 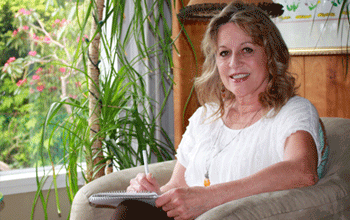 Mindy has a Master’s Degree in Counselling Psychology from the University of British Columbia. She is a Registered Clinical Counsellor (RCC) with the BC Association for Clinical Counselors. Mindy is a fully Certified/Accredited Traumatic Incident Reduction (TIR) Trainer with Applied Metapsychology International (AMI). Mindy is certified in Neuro-linguistic Programming (NLP) and Satir Systemic Brief Therapy as well as a Play Therapist. We offer professional workshops open to practitioners and public alike. Workshops focus on the practice Traumatic Incident Reduction (TIR), a powerful one-on-one approach to reduce trauma and stress. Workshops are cost-effective, replicable, and no degree is required. Just click the button below.